Small Waves Wash Even More Garbage Onto An Already-Polluted Ocean Beach. 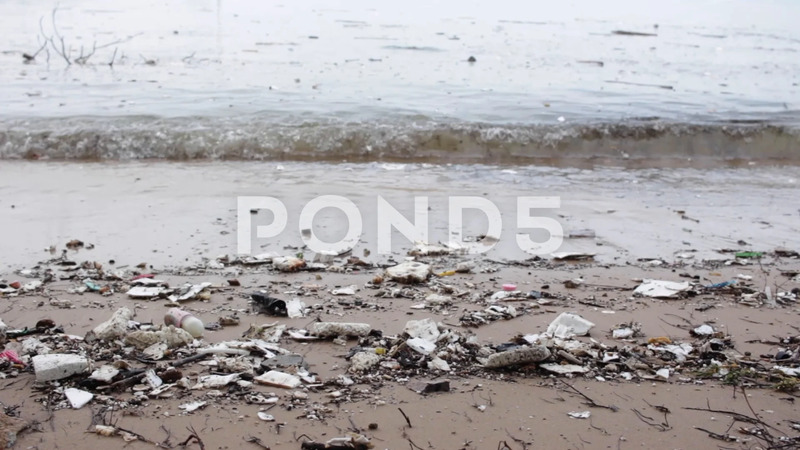 Description: Small waves wash even more garbage onto an already-polluted ocean beach. (Pattaya, Thailand) - Taken from a turtle conservation center.